Along with her personal warmth and mellifluous style, a keen sense of practicality lies at the heart of Mathewes-Green's writings on spiritual life. Her latest offers a popular yet systematic look at invocation of the Sacred Name, known in the Orthodox Tradition as the practice of the Jesus Prayer. But the simplicity of 'Lord Jesus Christ, Son of God, have mercy on me' belies the depth of discipline necessary to make these words increase the soul's capacity to commune with God. Thoughts attack our prayer, circumstances arise and attention wavers. The theologians of the East sought effective remedies to these external and internal troubles so to preserve the grace of continual prayer, and Mathewes-Green transmits their teachings firmly, presenting in a short space a wealth of ancient wisdom. For those who appreciated Facing East or The Illumined Heart, or who desire a more simple and direct life of prayer, Frederica offers here a rich yet accessible guide, one that emerges from the fruit of her own practice, and great care in the expression of it. 181 pp. In the earliest centuries of faith, Christians in the deserts of Palestine and Africa sought a short prayer that could be easily repeated, in order to acquire the habit of "prayer without ceasing." The result was "The Jesus Prayer": "Lord Jesus Christ, Son of God, have mercy on me." This jewel of Eastern Christianity aims at enabling a person to be in God's presence, rather than to focus on feelings or thoughts about God. 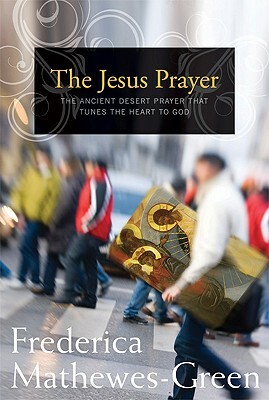 The first section of "The Jesus Prayer" offers a concise overview of the history, theology, and spirituality of Orthodoxy, so that the Prayer can be understood in its native context. Following, is a conversational question-and-answer format that takes the reader through practical steps for adopting this profound practice in everyday life.